Al-Farabi (ca. 872-950) - Just as ancient Greece had several great philosophers, so also did Medieval Islam. 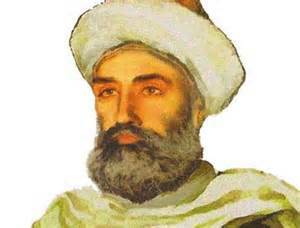 One of its greatest was Abu al-Nasr al-Farabi. So respected was he that he was referred to by his peers as "Second Teacher", meaning he was second in greatness only to Aristotle, whom they called "First Teacher". Unfortunately the sources on his life are scarce and somewhat removed from his own time. And because they tend to portray him in the most positive light, what we do know is certainly tainted. He was probably Persian, but may have been Turkic. Like al-Kindi, he was a product of the House of Wisdom, spending most of his adult life in Baghdad. He was born roughly the same time that al-Kindi died. As a result, he may well have studied from some of the material al-Kindi translated. But he does not appear to have had much respect for his predecessor, having never mentioned him as an influence. Although only a small portion of his work survives. And he did write on many topics; alchemy, logic, mathematics, music, and philosophy. One of his most interesting treatises is al-Madina al-Fadilah. It is essentially a defense of Plato's Republic with a Muslim twist. He argues in favor of the ideal state, much as Plato did, but instead of being governed by a philosopher-king, it would be ruled by the prophet-imam. Around 942 he left Baghdad and went to Damascus to teach, where he died around 950. In between, he also spent some time in Aleppo and was known to have visited Egypt. An interesting point about his life is that one of his mentors was a Christian named, Yūḥannā ibn Ḥaylān. Similarly, the most famous Jewish philosopher of the Middle Ages, Maimonides (see Maimonides), cites al-Farabi as one of his great influences.